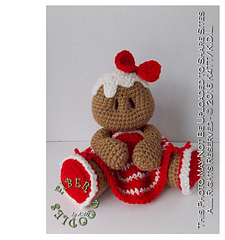 This pattern is complete with instructions to make Baby’s First Plushie - Gingerbread Girl. This pattern is written in English, using US Crochet Terms. You will need an Adobe Reader, or like software to view written materials. You can visit http://get.adobe.com/ to find out more about Adobe and it’s products.